Gailes Links, a classic Ayrshire links course, opened in 1892 has hosted 32 International Championships since 1927, including The Palmer Cup, various Amateur Championships and Final Open Qualifying 2014-2017. The course designed by Willie Park Jnr in 1912 and updated by James Braid in 1926 is available for play all year round. A restoration programme is underway with considerable work having been carried out to remove trees, gorse and whins to bring the course back to its origins and make it more enjoyable to play, without losing its ability to challenge. The Clubhouse, designed by Patrick Macgregor Chalmers, whose speciality was designing churches, has a magnificent Dining Room resplendent with wooden beamed ceiling and wood panelling. The original wooden lockers installed at the time have also been retained in the corridor running from the front to the back of the building. 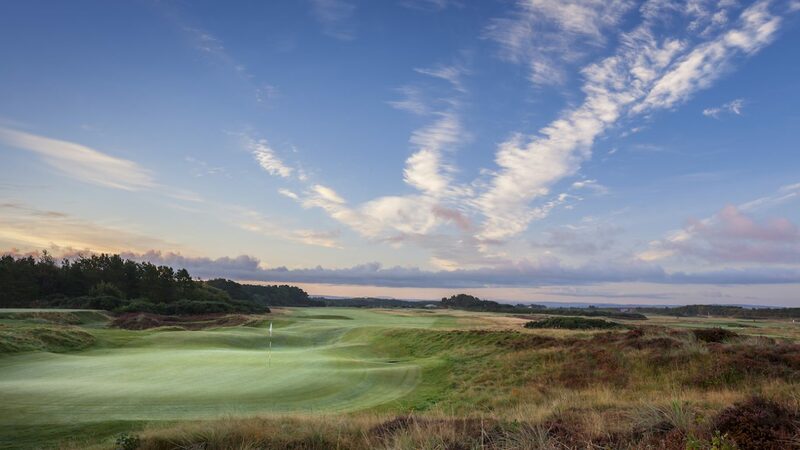 Gailes Links offers a practice range with complimentary golf balls as well as a putting green. Our fully stocked Proshop offers equipment hire including clubs, buggies and both Powakaddy and push trolleys. Home cooked fare is available in either the Maclaren Bar or Dining Room and the dress code throughout is smart golf attire (no requirement for jacket and tie). There are excellent transport links by road and rail with Glasgow airport only 30 minutes away and you will be assured of a friendly welcome. Free fourball for 20+ players.